Edith Piaf on the sound system, gorgeous orchids on the coffee table, Christian Lacroix fabric décor, and flutes of champagne at the ready: this sophisticated ambiance welcomed us aboard the barge Savannah, a fresh and elegant choice on the Canal du Midi. Attention to detail characterizes every aspect of Savannah, owned and operated by Captain Adrien Bramoulle. Growing up in South Africa, he developed various interests leading to careers in wildlife conservation and luxury hospitality; he now brings this international background to the canals of France. A traditional barge, the vessel’s classic design is enhanced with lavish use of mahogany woodwork and hand painted ceramic tile in the bathrooms. The airy cabins are enlivened by the boat’s original brass portholes, as well as by paintings of Canal du Midi vignettes created by a local artist. Guests linger on the comfortable deck to watch the scenery gently drift by, and more active passengers are encouraged to explore further on the towpath by bicycle or on foot. Gourmet meals are created by Chef in the open kitchen using ingredients sourced from regional farmers and artisan producers, while wine pairings are hand selected from Captain Adrien’s favorite French producers, emphasizing local Languedoc vineyards. 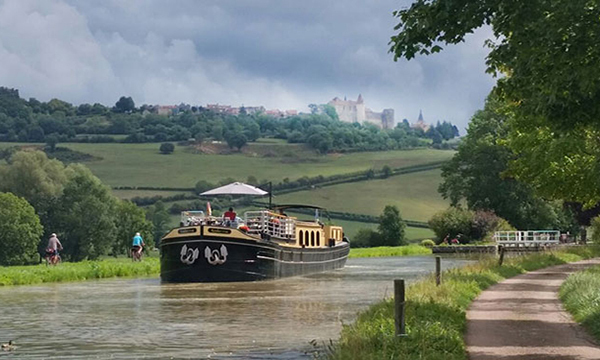 Sightseeing is vivid and vibrant, encompassing the lively cities and area attractions along the historic Canal du Midi. Local charm is introduced whenever possible, such as an excursion during which guests drive themselves in vintage French cars to a winetasting at a preserved chateau. Adding to the Savannah’s unique cultural pleasures, the very creative Captain Adrien also invites musicians on board to present an informal acoustic concert. 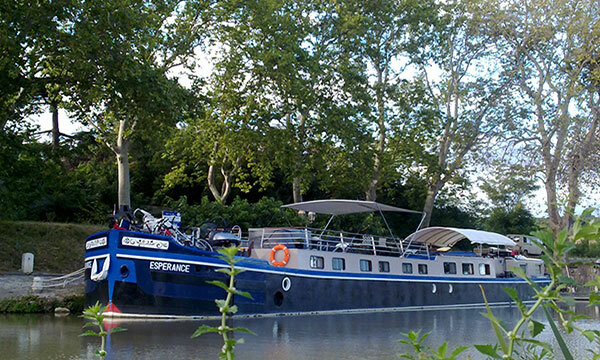 In the afternoon, you will be met by a crew member of the Savannah in at the designated meeting point in Narbonne. From here, relax as you are chauffeured to the barge, moored nearby in the petite village of La Redorte. A traditional champagne welcome and introduction to the crew awaits you, before your first of many gourmet dinners onboard. This morning, your Tour Guide accompanies you to Minerve, a preserved Medieval city with fascinating social, historical, and military import. A private tour and tasting at a local vineyard follows, revealing the nuances and complexities of the Languedoc's grapes. Return to the barge for a lazy afternoon cruise, where you can meander along the tow path with a gentle pedal or leisurely stroll. 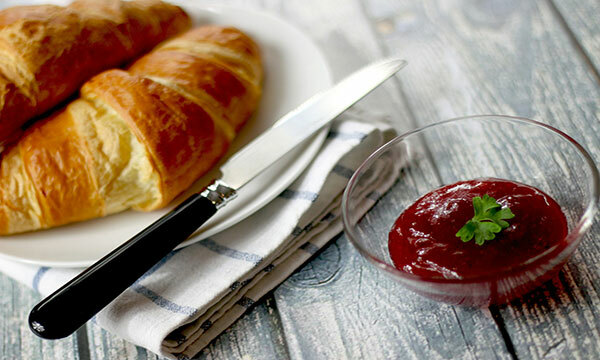 Foodies are invited to join Chef in the open kitchen for a cooking demonstration. Canapes, cocktails, and a gourmet dinner round out the day. A visit to Narbonne begins the day. As a regional capital established in 118 B.C.E. as a Roman colony, Roman ruins are reverentially presented in public spaces, while the Narbonne market reflects the region’s gastronomic bounty. Chef will join you as you select the market fresh meat, produce, and herbs served at tonight’s dinner. After lunch in the market, your Tour Guide will chauffeur you back to the barge for an afternoon cruise. Relax on deck, or take a bicycle ride in preparation for drinks and dinner. A morning cruise presents pastoral countryside glide by. In the afternoon, your Tour Guide chauffeurs you to Carcassonne, a fortified Medieval fortress with a walled city. Explore the ancient castle and preserved ramparts to admire the mighty 53 Roman towers, enjoying panoramic views over the vistas beyond. Stroll the cobblestone boulevards into local cafes and specialty boutiques. Return to the barge and feel free to join Chef in the galley while the finishing touches are being put on tonight’s gourmet dinner. This morning, an adventure on the French roads awaits! Hop into your own Citroen 2CV cars and drive to the Chateau de Pennautier for winetasting and luncheon. The Chateau, still owned by direct heirs of the Pennautier family, cultivates 146 hectares of vines of varying ages, around two thirds of which are AOC Cabardès and the remainder Vin de Pays. Back on the barge, relax on deck with a glass of locally produced wine, or traverse the towpath with a gentle pedal or leisurely stroll. Cocktail hour precedes another gourmet dinner. This morning, the Canal du Midi is abandoned for the foothills of the Pyrenees Mountains. Mirepoix, a medieval town in Ariège, awaits. The bustling market is a lively scene, and you can mingle with the locals. Sip, shop, and stroll your way through this charming market town. Your Tour Guide will return you the barge, where a lazy afternoon cruise awaits. Discover the petite hamlets along the canal via bicycle or foot, or have one last cooking demonstration with Chef before cocktail hour and the Captain’s Dinner concludes the evening. After breakfast, you will be chauffeured to the designated drop off point in Narbonne.